What smaller goals must be achieved in each area of the company to achieve the big one? What steps need to be taken in each area of the company to achieve their goals? Who is going to take which steps? How will all of this be coordinated? Who’s going to keep track of it all, and how? How is it going to be financed? How will you ensure the additional workload doesn’t interfere with current production? How do you keep your staff motivated towards the goal when it’s quite long-term? This is a rapid training approach! 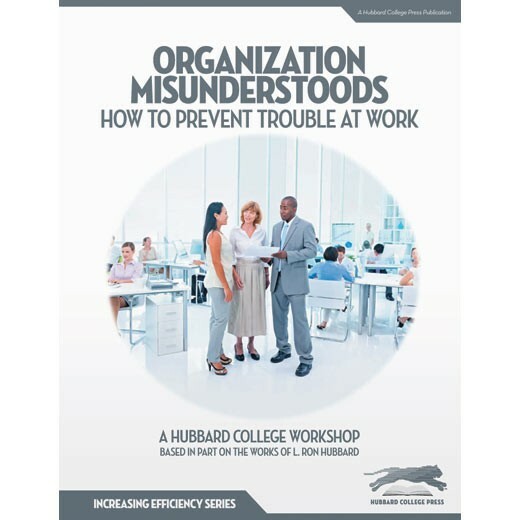 Each team member will understand exact data of the Hubbard Management System. Two members of the team twin up, are given these materials and told to get each other through! 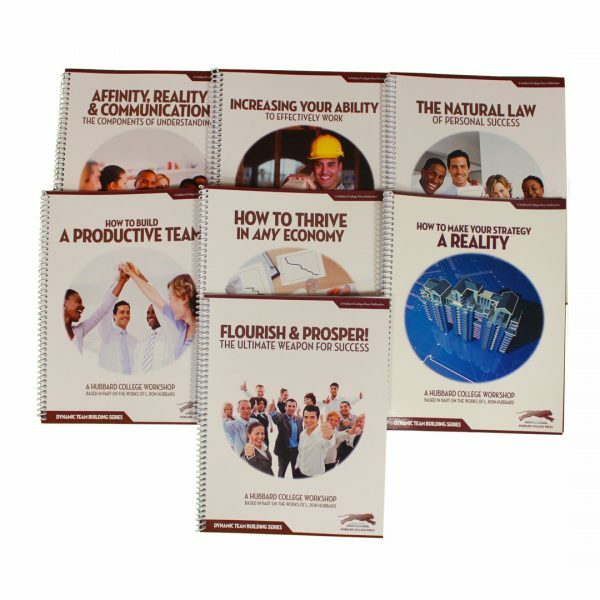 By each member doing the Dynamic Team Building Series package you create in short order an effective, successful team. Public relations – defined as the professional maintenance of a favorable public image – is the basis of a healthy, growing business. Without good public relations, your marketing and sales efforts get minimal response and your marketing dollars are all but wasted. 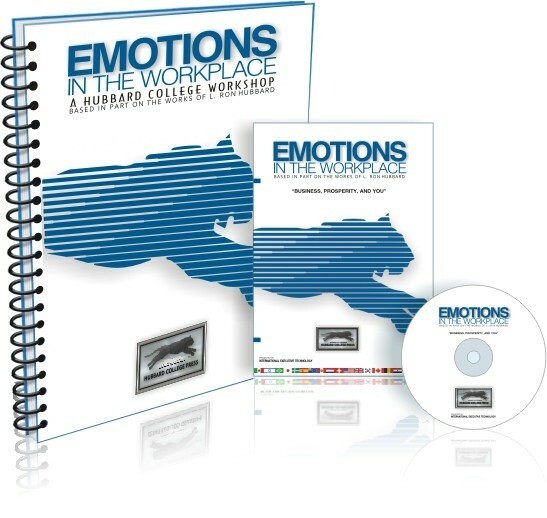 This public relations package includes 6 manuals. 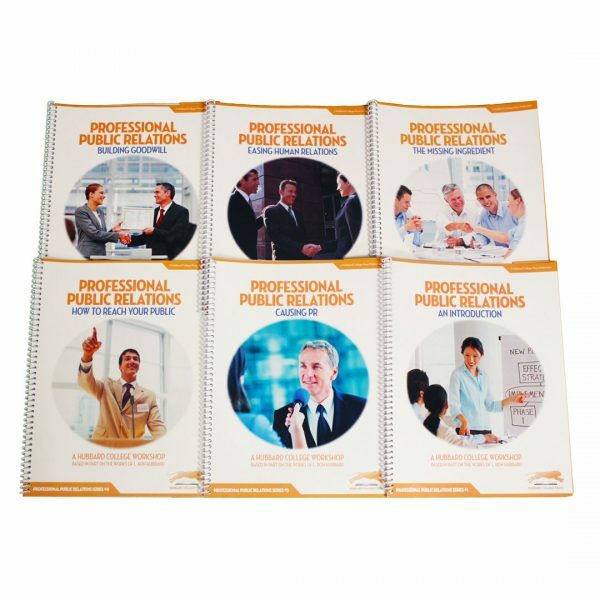 The series teaches all the public relations basics to your PR staff, and anyone in your company who comes in contact with the public. Professional PR – An Introduction. Professional PR – Causing PR. Professional PR – How To Reach Your Public. Professional PR – The Missing Ingredient. 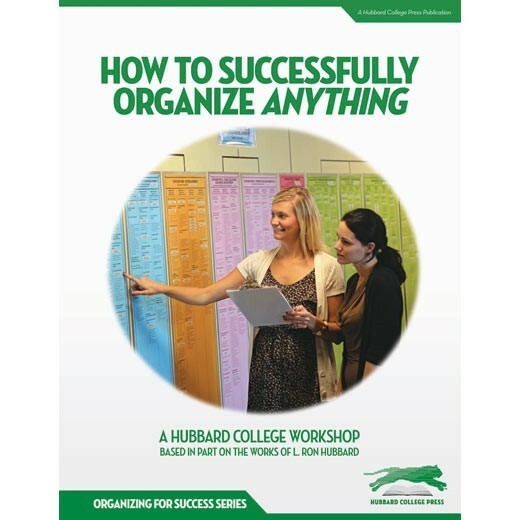 This is the first in a whole sequence covering the underlying natural laws of how to organize. With this you can really organize anything. The first in a whole series covering fundamental marketing basics. 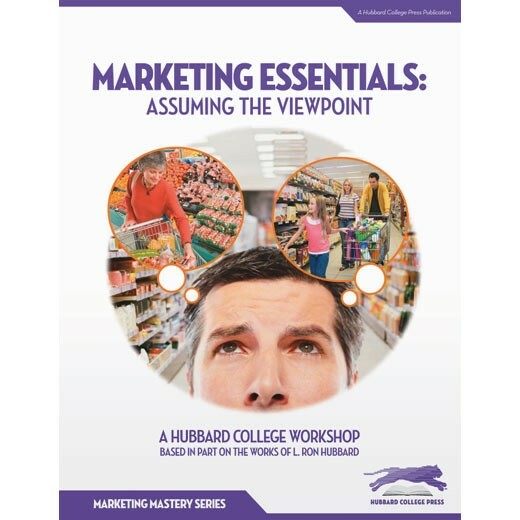 In this initial workshop you acquire the practical skills necessary to understand who you are marketing to – and how. 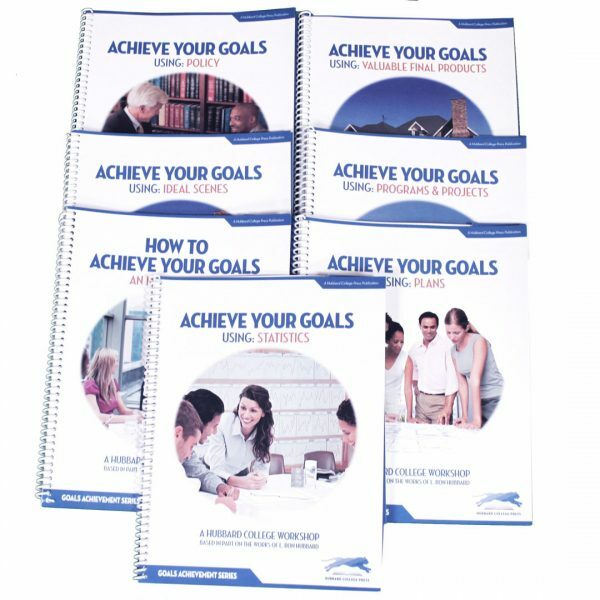 Ever wish you just had a simple booklet to hand to an employee to read and implement to solve a particular problem without having to spend a lot of time explaining what they should do? Now you can! Each booklet has its own glossary. They are extracted from the HCA Reference Library Set. L. RON HUBBARD and SCIENTOLOGY are trademarks and service marks owned by RTC and are used with its permission. 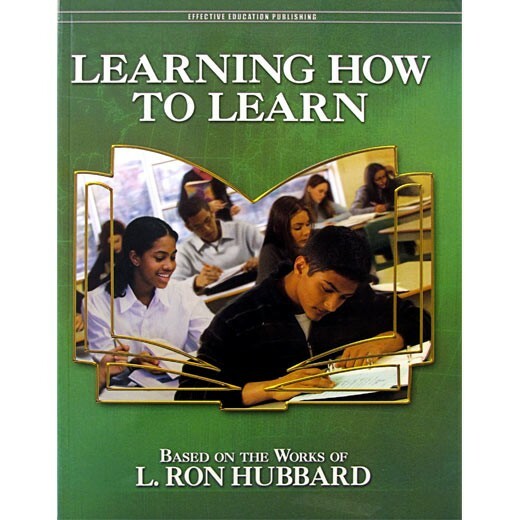 Photograph: © 1996 L. Ron Hubbard Library. Quoted Material by L. Ron Hubbard: © 1974, 1976, 1981, 1984, 1989, L. Ron Hubbard Library. Copyright laws and international copyright treaty provisions protect all materials on this site. The users of this site have placed this material on this Internet site under the authority of the copyright owner for the sole purpose of viewing of the materials. Users are not authorized to download or transmit any of the materials in any form by any means, electronic or mechanical, including data storage and retrieval systems recording, printing or photocopying.